Last week, Politico published an article titled “Latino outreach or Google translate? Dems bungle Spanish websites” that provided insight and commentary on a layered issue that has been hiding in plain sight for years now. This article analyzes the platforms, policy proposals, ideas, and campaign narratives written in Spanish for the purpose of increasing Latino voter outreach on the websites of potential 2020 presidential candidates. The opening line of the article sets a snarky and playful yet concerned tone that captures the underlying urgency within the rest of the piece: “Using Google to translate English text into Spanish is a trick used by high school students to avoid doing their Spanish homework––not something you’d expect to see from candidates for the highest office in the land. Yet several Democratic White House hopefuls appear to be doing precisely that.” The very people currently in the race of their lives for the Democratic presidential nomination (who heavily depend on the turnout of black and brown voters) are the very same people whose best effort to connect with Latino voters was to haphazardly use Google Translate to convey complex and important campaign ideas. The analysis in the Politico article mostly consists of cross-referencing Google translations of the content on the English website of the different campaigns and the content on the Spanish website of that same candidate. English Website, Exact Google Translation, and Campaign are the three columns used in the article to visually demonstrate how similar or different the content on the Spanish website is from the Google Translate translation. However, Politico also did a review of grammar, general style, and the way that American idioms and metaphors were rewritten to make sense in Spanish (if adjusted at all). This analysis assigns a letter grade to each current presidential candidate’s Spanish website and Latino Outreach efforts, ranging from F (no Spanish content at all present on website) to an A-minus. On top of this analysis, Politico’s article also points out egregious errors from the candidates’ Spanish websites. An example of a blatant mistake on an official campaign website was Senator Harris misusing the word “gastar” when she meant to say she has “spent” her entire life defending the values of our country. The word “gastar” in this context holds the verb definition of “waste” rather than “spend”, thus publishing on Harris’ official website that she has “wasted her life defending the value of this country.” Awkward. In English, and especially in this context, there is a significant difference between the meanings of “spent” and “wasted.” One would think that a campaign staffer would catch that, right? Perhaps a Spanish-speaking member would, but then again, if a campaign is using Google Translate for their Spanish websites, they probably do not have many Spanish-speaking staffers on hand. This problem persists beyond the campaign trail: the Joint Center for Political and Economic Studies published a report in late September 2018 that found that only 13.7% of top aides in the House of Representatives are people of color, despite making up 38% of the population of the United States. Becoming cognizant of the lack of racial and ethnic representation amongst the people in the highest advisory positions to candidates and elected officials is critical to understanding the state of voting outreach for Latinos and other minorities. The Google-translated, misused, misspelled, and cacophonous sentences on candidates’ Spanish websites goad many Latinos to feel a larger lack of respect towards their communities and a half-hearted desire to engage in a meaningful dialogue. How can you create dialogue with incoherent sentences? To some, these faux pas are a careless and even comical misstep that shows a simple sign of human error, while to others, these mistakes can represent something much deeper than simply a typo or inaccurate translation. At a time when Democratic leadership has expressed an urgency to connect and inspire the Hispanic electorate, it seems that the campaigns handled this facet of their outreach irresponsibly. Historically, the Latino population of the United States has had very low voter turnout. In a report done by the Census Bureau that measured the voting rates by race from every election from 1980 until 2016, Hispanics voted at the lowest rate amongst all other ethnic groups in the United States. Many studies by voting rights, immigration, and Latino scholars have concluded that Latino political participation stems from low rates of voter registration, organization involvement, campaigning, and turnout when compared to other other demographics. With the Hispanic electorate increasing by around one million people per year, massive groups of the population are currently being left out of the political process. There is a lot of work left to do. Interestingly enough, although the Politico article provided an in-depth, important critical lens on the caliber, accuracy, and effort spent on candidates’ Spanish content, the conflation of Spanish content and Latino outreach received some criticism. At first, tepid Latino outreach appeared to be the most pressing and concerning takeaway from the article, but a former Clinton staffer added another layer to the article that completely reframed the conversation on how we view Latino outreach. Former communications staffer and Latino Outreach Director for Hillary Clinton’s 2016 Presidential campaign Paola Luisi responded to the Politico article on Twitter, saying, “A Spanish-language website is not synonymous with Latinx outreach. Punto. The Latinx community is extraordinarily [sic.] diverse in race, language, history and geography [sic.] and to assume that ‘Latino outreach’ equals Spanish language once again misses this key point.” Luisi was the campaign content strategist who ran the translation program of the digital and social media teams for Clinton. In previous interviews, she has said that Clinton’s Latino outreach efforts through Spanish language websites were not enough to connect with the heart of the Latino community in the United States. Her response raises the question: Should Latino outreach be more than Hillary calling herself an “abuela” and Tim Kaine professing that he was a “Catolico” in several speeches? Is speaking Spanish at a superficial level enough to win over a demographic that has increased its electorate in the past 4 years by 4 million voters, with US-born Latinos coming of voting age and now speaking English proficiently at a rate of 68%? Is calling yourself abuela or saying that you enjoy eating tacos enough? Was that ever enough? The core of the problem regarding our current understanding of what constitutes “Latino outreach” is a lack of effort to reach out to the Latino community in a meaningful and thoughtful way; this includes the failure to recognize the diverse set of experiences within that community. If a campaign decides to release content in Spanish, there should be a standard of accountability and decorum to which that campaign should be held. But, as Paola Luisi mentions, having websites that are written in Spanish is not enough anymore. The Latino community in the United States is rapidly changing, and the least the Democratic party can do is attempt to catch up. A presidential candidate who has also helped us reframe how we view Latino outreach is the only Latino who has announced a presidential bid so far: former Mayor of San Antonio and Secretary of Housing and Urban Development Julián Castro. Born and raised in the quintessentially historic city of San Antonio, the way that he has handled his own Latino outreach has been fascinating and telling of the necessity for multidimensional outreach that captures all the differences within the Latino community. Does a Latino candidate have to speak Spanish to try to appeal to a community to which he already belongs? Julián’s story within the Latino community is not unique in the slightest. He comes from San Antonio, Texas, a city known for its discrimination against those of Latin American origin, especially after the 1950s and 1960s. Several generations of immigrants from Latin American countries who came primarily to look for employment were treated as second-class citizens, and were forced to give up their language through the institutions and communities they joined. As Julián mentioned in his NPR interview, it was not only school teachers in South Texas dissuading the use of Spanish, but also Latino families themselves who had internalized that they would be labeled as sub-American if they spoke Spanish rather than English in public. This historical connotation of who Latino people are and how they’ve been socialized to view their bilinguality is another important factor for campaigns to take into account when conducting Latino outreach. In the present day, many generations of Latinos are losing their Spanish as their connection to their country of origin fades away. According to a survey conducted by the Pew Research Center in 2015, 71% of Latinos said it is absolutely not necessary to speak Spanish to be considered Latino. Pew Hispanic Center also reported that amongst third-generation Latino parents, the percentage of Latinos from age 5 to 17 who said they only speak English jumped from 73% to 88% from 2000 to 2014. These statistics reinforce the notion that the Latino community is not a monolith, and consists of individuals with varying proficiencies of both English and Spanish. 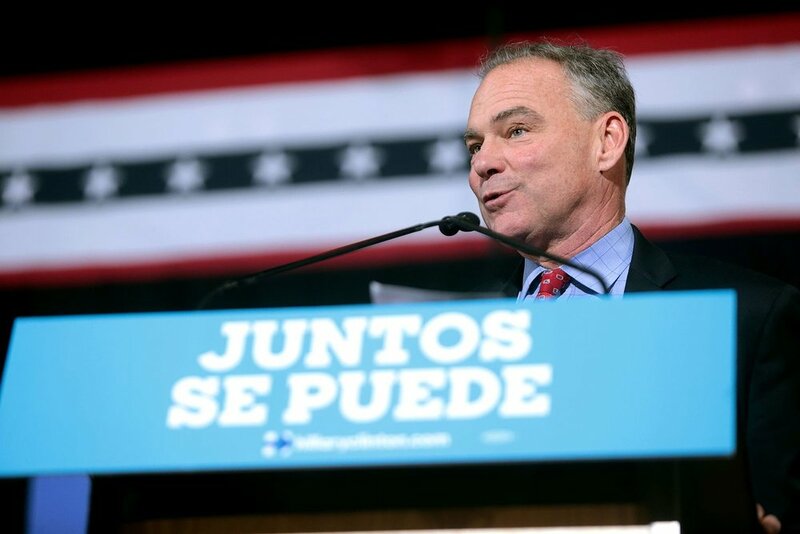 As such, speaking a few sentences of Spanish on the campaign trail misses the point of who Latinos are. As we go further into the campaign season and look toward the upcoming primary elections within the Democratic party, it is incumbent upon voters to hold politicians accountable for the way they reach out to marginalized communities and the platforms through which they choose to promote themselves. No voting bloc or demographic is monolithic, and it shortchanges both voters and politicians from meaningful discourse if they are viewed as one. Our politicians should be speaking to and making space for our fifth-generation Mexican-American families from the Southwest and California while also fostering connections with newly arrived families from Central America that are just beginning their American journey in search of a better life. While each candidate will go about this differently, ditching Google translate is a good first step.